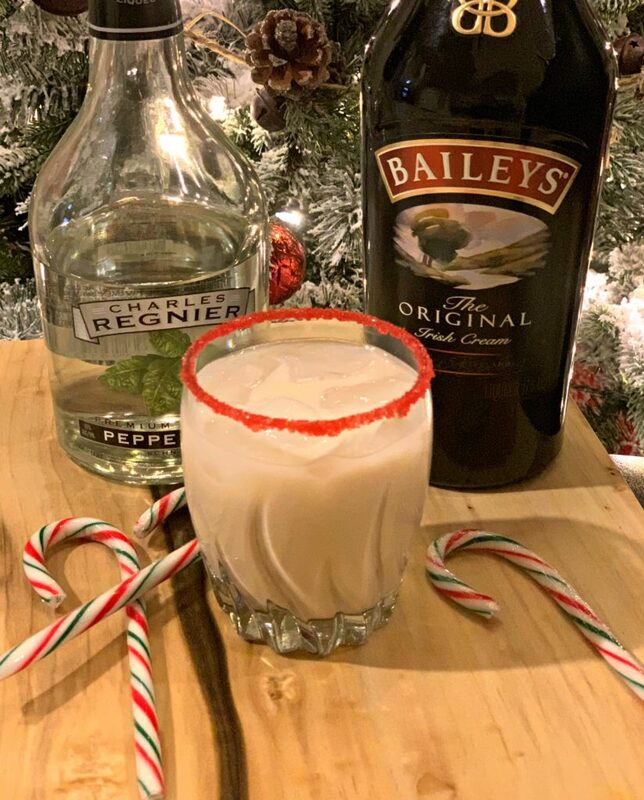 Simple and delicious, this Peppermint White Russian will be a new favorite with any crowd! Perfect for the Holidays and only requiring 3 ingredients, its a must try! 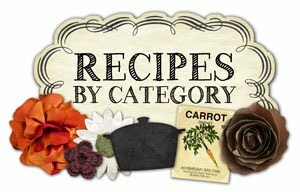 Have you noticed all the tasty cocktail recipes I have posted for the Christmas season lately?? If not, be sure to check out the link below because there is definitely something for everyone! One of my favorite drinks is Bailey’s over ice. Simple, yet so tasty! 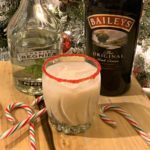 Anything that uses Bailey’s is typically a hit with me, so this drink was definitely just that! My hubby whipped this up last night as I was finishing making our dinner (slow cooker chicken and dumplings, yum) and before I knew it, he had these ready to enjoy! Using only 3 ingredients, plus some festive sprinkles or crushed candy cane (if desired), you too can make this cocktail! If you’re hosting a party, gathering, having friends or family over, or simply in the mood for a drink one evening, I highly recommend this! 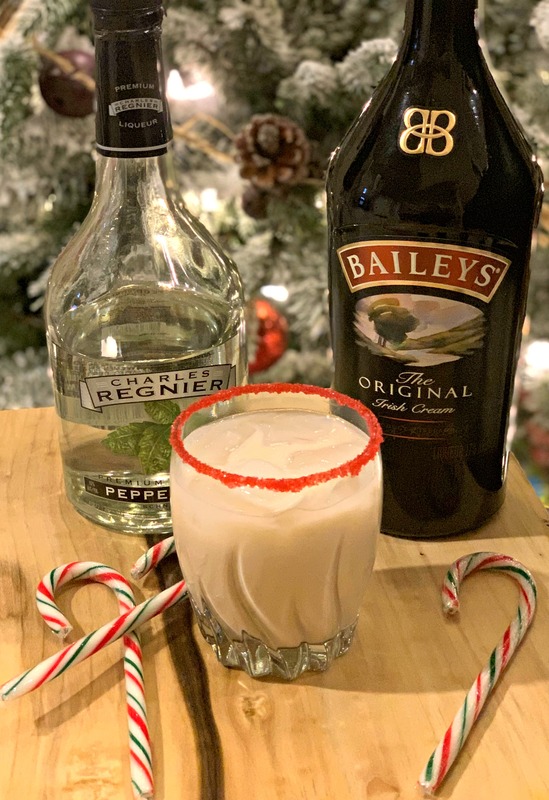 Sit by a fire, enjoying the views of your Christmas décor, and sip on this creamy, peppermint drink. My hubby used a shaker to prepare ours and then poured into glasses. I highly recommend this shaker, https://amzn.to/2EAiZgm, because it comes in handy for all sorts of drinks and is a great price! However, if you don’t have one and don’t want to buy one, you can simply divide equally into each glass and stir prior to serving! My hubby added some red sugar sprinkles to the rim of our glasses and it was a great addition! Another great idea would be to rim the glass with crushed candy cane. Use water, honey, or corn syrup to create a sticky surface for the sprinkles/candy cane to stick to! Hope you enjoy and please, drink responsibly! Hope you all have a wonderful Holiday season! 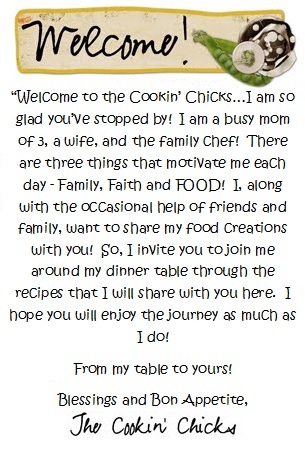 Be sure to follow me on Instagram and use the hashtag #thecookinchicks in all your creations so I too can see!! Rim two glasses with crushed candy cane or red sprinkles. In a shaker, pour the schnapps, Bailey's, and half and half inside and shake to combine. Pour evenly into the prepared glasses. Enjoy!